Building Earth Observation Cameras discusses the science and technology of building an electro-optical imaging system for a space platform from concept to space qualification and in-orbit evaluation. 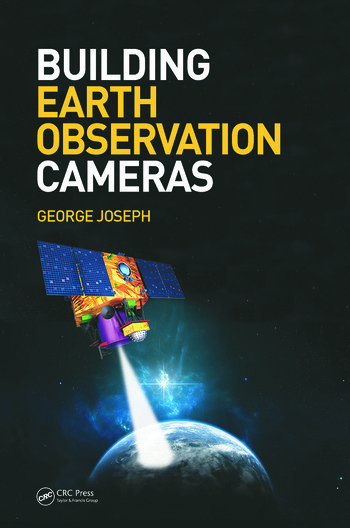 The book provides a broad overview of various Earth imaging systems with specific examples illustrating the design and development issues that impacted the Indian Remote Sensing Satellite (IRS) cameras, and is based on the actual experience of the author, who was intimately involved with the development of cameras for the IRS program. It equips imaging system project managers, scholars, and researchers with the ability to look deeper into the systems that they are developing, and arms application scientists who use satellite imagery with a greater understanding of the technical aspects and terminology used in defining the performance of the image system. The text traces the historical development of imaging systems, reviews the evolution of Earth observation systems from a global perspective, and examines future trends. Building Earth Observation Cameras provides the tools needed to enable readers to better understand the concepts and challenges involved in building space-based Earth observation systems. What Limits the Spatial Resolution? Dr. George Joseph started his career in 1962 at the Tata Institute of Fundamental Research (TIFR), Mumbai, where he was involved in the study of cosmic rays. For his pioneering work on the detection of the emission of neutrons from the sun, he was awarded a PhD in 1971. In 1973, he joined the Space Applications Centre (SAC), one of the major centers of the Indian Space Research Organization (ISRO), primarily for developing Earth observation systems. Under his leadership, a variety of Earth observation cameras were developed for the Indian Remote Sensing Satellite (IRS) and the Indian National Satellite (INSAT). "... This is a unique book containing the details of design philosophy in an integrated manner. I am not aware of any other book which covers so many aspects relating to the earth observation cameras, containing such a vast amount of knowledge and information at one place. If I were to teach a course on the subject, I would find no better book. ..."
"... a comprehensive and very accessible book ... packed with useful information; 350 pages covering every aspect of the design of the wide range of optical cameras used in space. The emphasis on Indian missions is helpful both in the detail provided of individual sensors and in understanding the principles discussed in the book. The sections which deal with constraints and trade-offs, particularly those related to future developments, are useful and stimulating. ... An extensive list of references will allow those interested in more detail and background to extend their knowledge. 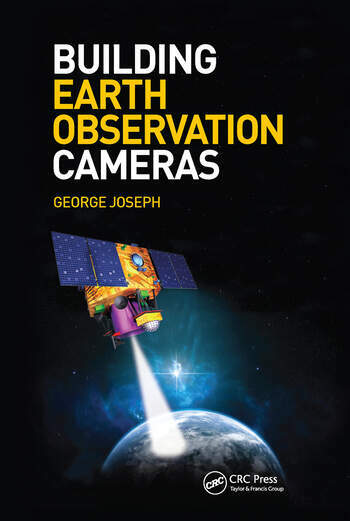 In this age of small satellites and inexpensive sensors, understanding the system which produces the data is very important: Dr Joseph has made an important contribution to the understanding of what can, and cannot, be done with earth observation sensors." "...an extremely nice blend of fundamental concepts needed to build space borne camera systems and its engineering aspects.… the subject matter is explained so lucidly that a professional will enjoy reading it." "… excellent … The author is a renowned expert in IRS imaging systems … the book is replete with his own practical experiences and is one of the best-source book for electro-optical system. … will appeal to that large community across the world." "...an excellent book, whose publication is very timely."